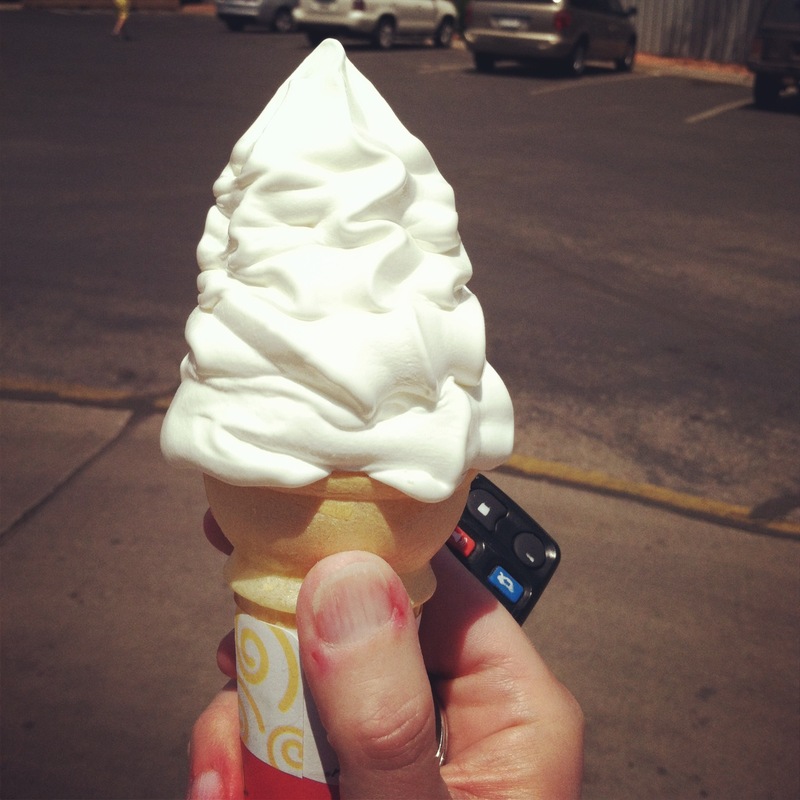 It was a l-o-n-g drive from Flagstaff to Salt Lake City Sunday. I hit the road at about 8:30 and didn’t arrive until 6:30 p.m. Since then, I’ve been mainly relaxing at my brother’s. I’ve even managed to get some writing/admin work done in the mornings when the kids are in school and everyone else is working. 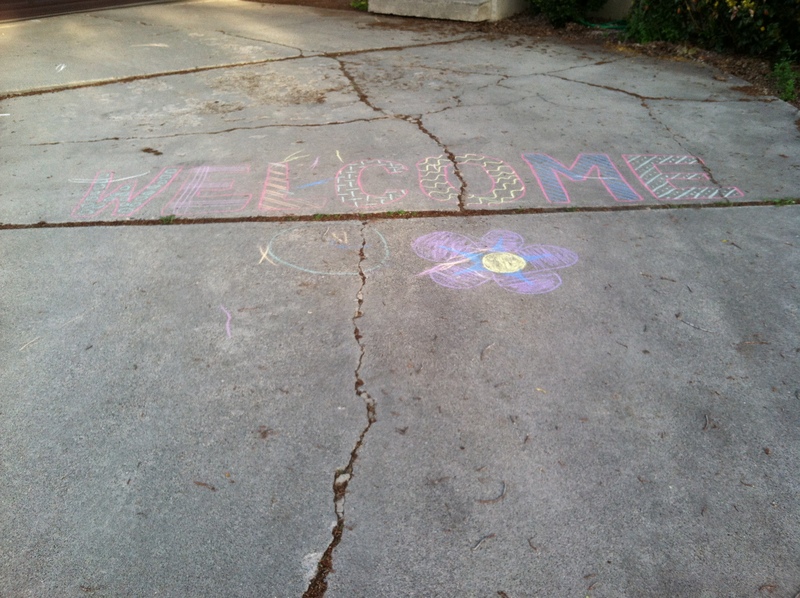 The scene that greeted me when I arrived: A welcome from Sharon and the kiddos. 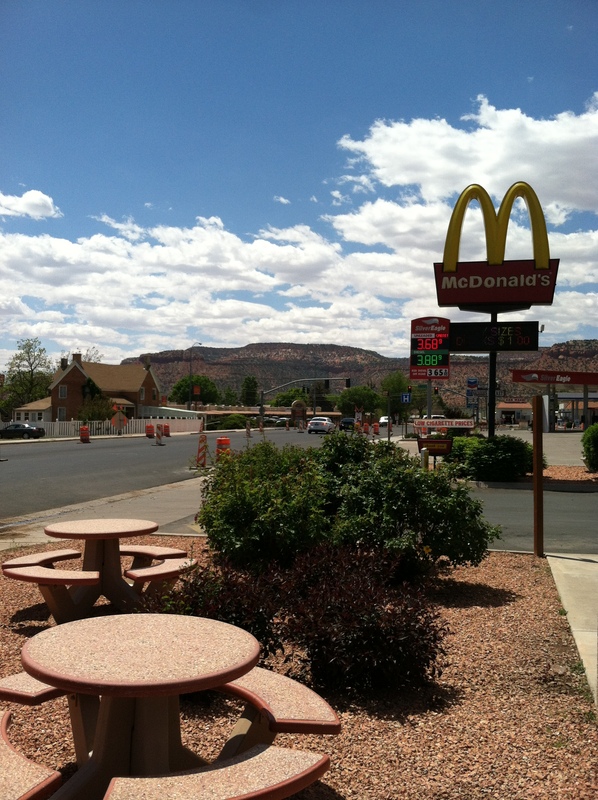 From left are Page/Lake Powell (from the parking lot at Maverik), the McDonald’s in Kanab and the vanilla cone that happened while I was at said McDonald’s. Other happenings? Brats and grilled veggie kebabs for dinner Monday night, and a walk with my sis-in-law after the kiddos were in bed. Sadly, I forgot to clip my pedometer onto my pocket Monday morning, so I have no idea how many steps I actually took. 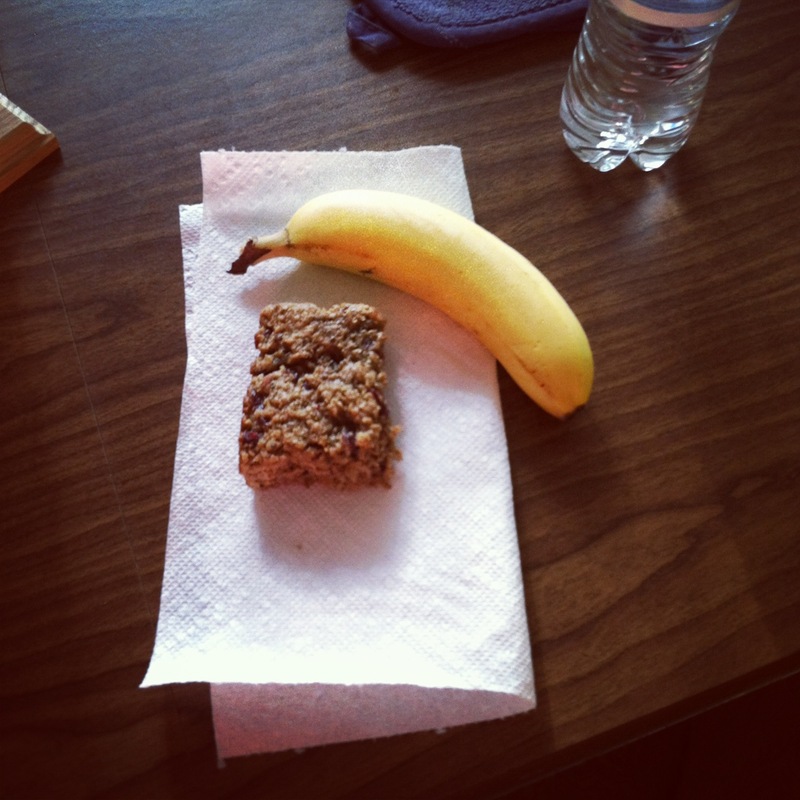 Breakfast Tuesday was something I’ve been meaning to try: One of Lindsay’s Quinoa Breakfast Bars. My sis-in-law made some a while back and had ’em in the freezer. I’ve wanted to try them, but hadn’t gotten around to making my own batch yet. They clean out their freezer; I get to satisfy my curiosity. Win-win. Better yet, it was delicious. I’m going to have to make some of my own when I get back home. It’s been low-key and relaxing … just the way I like a vacation. 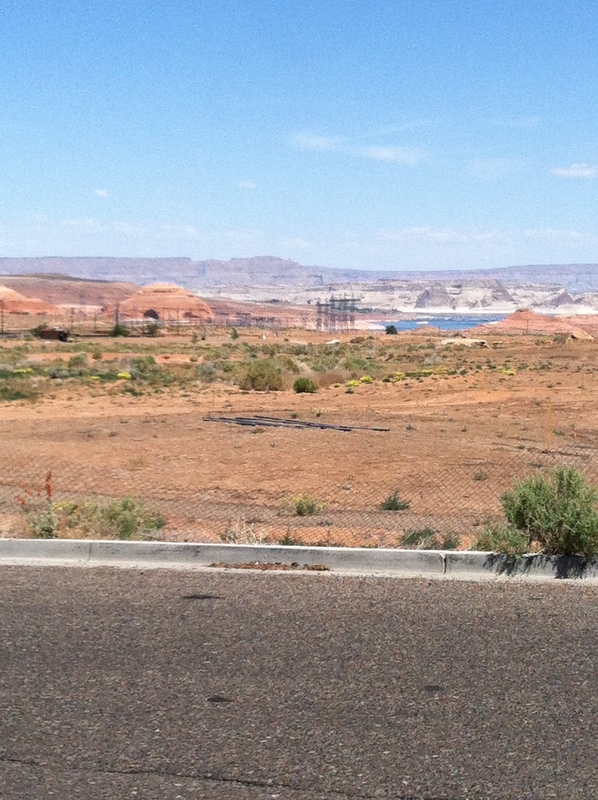 Just getting out of Flagstaff for a change of scenery has been awesome. Have fun at the Blend retreat and let me know how it goes. I would love to attend an event like that someday! So far, so good! Having a blast! ... if you're in a coma, maybe. Most of us have to work at it — every day and every minute. It's not easy to make the right choices, to drink water instead of (diet) soda, pick the grilled chicken sandwich instead of a burger or choose to get up and get moving instead of lounging around in bed. After spening too long making the wrong choices, I've re-committed to a low-carb lifestyle. My choices may no longer be Weight Watchers- or Whole30- or paleo-approved, but the concept is the same: I'm still getting closer to my goal weight one choice at a time. Please note that I’m not a doctor, registered dietitian or fitness expert. I'm merely sharing my experiences with weight loss, cooking and life. This is what works for me—or sometimes doesn't. That doesn't mean it will/won't work for you. When it comes to your health and fitness, do your research. Everybody is different.